Have you ever heard about “YouTube Stories”? Do you want to go deep in finding everything about YouTube Stories? Stories are trending on either Facebook or Instagram. Moreover, the Stories being as the ambassadors for hyping the giant social media sites like Snapchat, Facebook and Instagram. 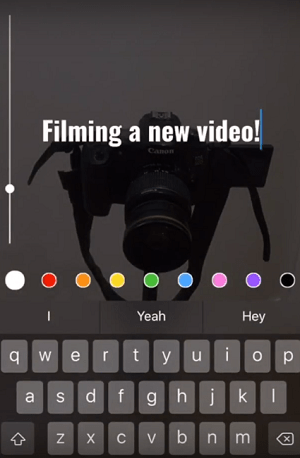 The stories are the much exciting feature for both the users and creators either create or watch the amazing videos or photos of current or past. Everyone sticks to stories as it lets to add the emojis, wishes, tagging location, hashtags and also presenting the mentions. Is it sounds good? Of course, from celebrity creators to start-ups along with the audience are much awaiting for the arrival of YouTube Stories. How to Create YouTube Stories? 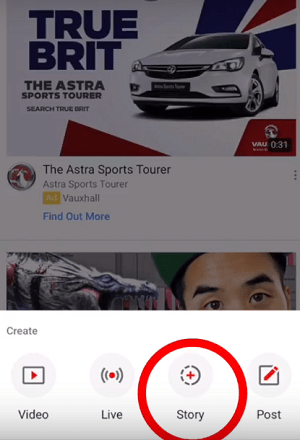 How to Delete Video within the YouTube Story? How to Watch YouTube Stories as a Subscriber? What can Subscribers do if the Story is Inappropriate? What happens after reporting the inappropriate Content? As you know, the stories are created in short form, and moreover, they are mobile-only videos. 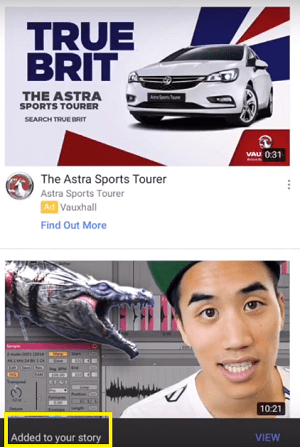 These YouTube Stories let the YouTube creators get in touch with their fans often by adding the simple and on-going activity. After 7 days of uploading the story will expire. Now they are in beta. Unlike Instagram and Facebook stories, YouTube Stories will not expire, and the creators can add multiple. Initially login to your YouTube account and then click on Camera icon. Start recording by holding the capture button. Also, click the capture button to take the photo. Also, upload the video or photo as the YouTube Story. Edit the video by saving to your camera. Also, you can add the music to the story. If you want you can use the filters. Add the text to the Story. Then tap a player to find the photo or video you want to delete. Click on three dotted Menu. Stories tab of creator’s YouTube channel page the stories displayed. The subscribers can see the YouTube Stories on subscription feed. The viewers can see the stories below videos on watch page and also see on the homepage. 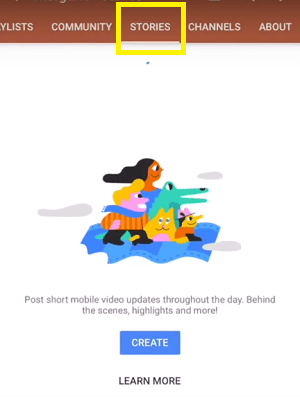 From the stories itself, the users who are not subscribed to your YouTube channel and watching your story can subscribe directly through the stories. Stories tab of a channel the creators can see the count of no. of views of the story at the bottom of a player or in a story. The creators can see the total views on active YouTube Story. Furthermore, the subscribers or fans can’t see the no. of views on your YouTube Story. If you want to watch story yourself, then click on the icon of the subscription feed or tap on the stories on your YouTube channel. Click on the icon on your channel subscription feed or stories tab and then go to stories. Then select the icon of comments. Then start recording the video or photo with the app. Either in YouTube Studio or in the story itself you are allowed to moderate the comments directly. For both the stories and video uploads the comment moderation settings are enabled. If you want to watch the Story, then click on the icon of the creators from the subscription tab that appears in the subscription feed. On the channel of the creator itself, you can watch the story from the stories tab. If you want to watch the previous or next story, then click the left or right side of a player. If you want to pause the story, then hold down the screen. If you think that story is inappropriate to watch, then you can report it. Select the Menu from the lowermost right corner of the YouTube Story. After reporting the inappropriate content, the YouTube Community Team will not let the others find who reported. When the video content is violating the YouTube Community Guidelines, then it will be removed. The content you upload is age-restricted that means inappropriate for Younger audience will be removed. 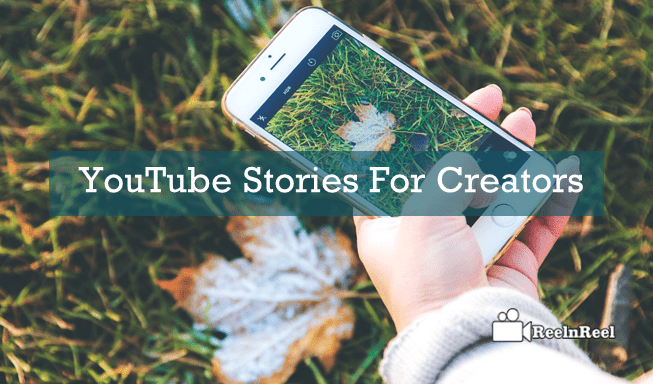 YouTube creators can get the continuous engagement of the channel through the delivery of the optimistic stories. Now the creators can blast their talent by uploading the short form video content as the story. It could be a great feature to gain the audience. Mostly the brands can elaborate their branding capabilities with ultimate story creation.